At Cloud 2 Entertainments we understand that your wedding day is special and we aim to make sure that your entertainment matches the rest of your day. Why not let us cater for your special Isle of Wight wedding? 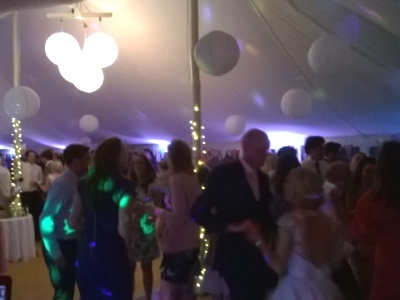 With many years of experience, Cloud 2 Disco are a safe, reliable and dependable choice to help make your Isle of Wight wedding day go just the way you want it to. Your wedding day is the most special day in your life. Weddings are hugely expensive, the church, the cars, the dress, the flowers.... the list is endless! And so is the bill!! With the average wedding costing well in excess of £15,000 people have a tendency to under estimate the value of a good wedding disco. It can make or break your special day. Why leave it to chance? Ladies, you wouldn't go for a wedding dress just because it is the cheapest option would you? You wouldn't choose the flowers or the cake for the same reason? Over a third of your special day will taken up by the evening entertainment - why would you compromise the whole day by hiring an unprofessional DJ? We will work with you to ensure that your evening of music and dancing is exactly how you want your Isle of Wight wedding disco to be! Our fantastic music library comprehensively spans seven decades and we can provide a good mixture of everything and anything to suit all musical tastes, or the evening can be tailored to your own specific requirements. 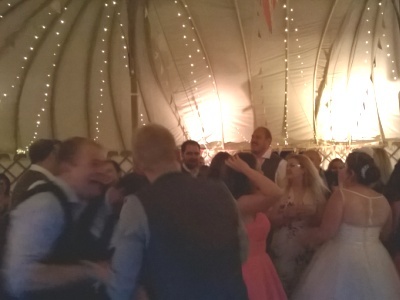 Upon booking your Isle of Wight wedding DJ, you are invited to provide us with your own playlist which will be thoroughly checked - if there is anything we don't have, we will get it! 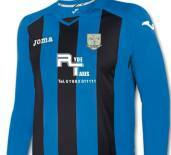 Or perhaps you would prefer to leave it to us, but there are a few 'must haves'? In which case just let us have a shorter list and we'll do the rest! 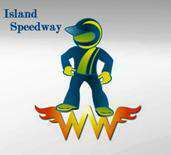 We will do everything we possibly can to make sure that you have all your needs taken care of. Cloud 2 Entertainments believe that your wedding is unique and believe in treating you and your wedding with the respect and the attention to detail you deserve. After years of dreaming and months of planning, you don’t want a single moment of your incredible wedding day to go wrong. 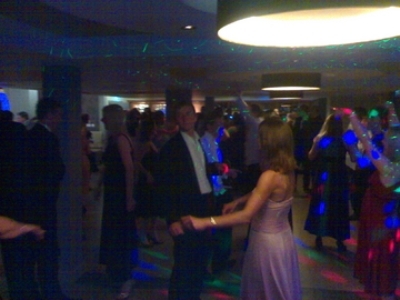 Finding a wedding DJ can be a daunting task. 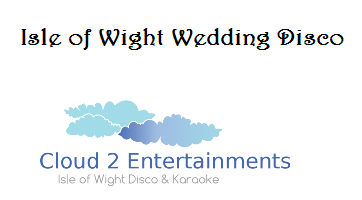 Cloud 2 will work with you to make sure that everything is just right and your Isle of Wight wedding DJ will be with you every step of the way.